My wife is a practicing part-time rheumatologist and I am completing my last year of plastic surgery residency in June and we will be moving halfway across the county when I graduate. I have a signed contract with a private practice group with a base salary of $270K + production + call pay. My wife does not have a job yet for next year. I have about $360K in SLs (refi’d w/ Laurel road at 5.26%) and my wife has around $30K in SLs (federal loans at 6.8%). We are moving across country in 2 months and are currently in the market for a new home (purchasing “dream home” w/ Physician Mortgage). I have preapprovals from 2 mortgage companies and plan to pit them against each other when the time comes to buy in order to get the best terms. We will be purchasing the home next month. 1. 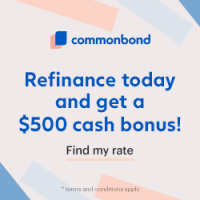 Does it make sense for my wife and I to refinance our loans together? a. When should we refinance in regards to timing with the mortgage application (multiple hard credit pulls, debt-to-income ratio, etc.)? b. Would it be best to wait until after the mortgage terms have been determined and the house is closed on, or should we refinance before this? Thanks is advance. I have posted this is the Student Loan Forum as well.